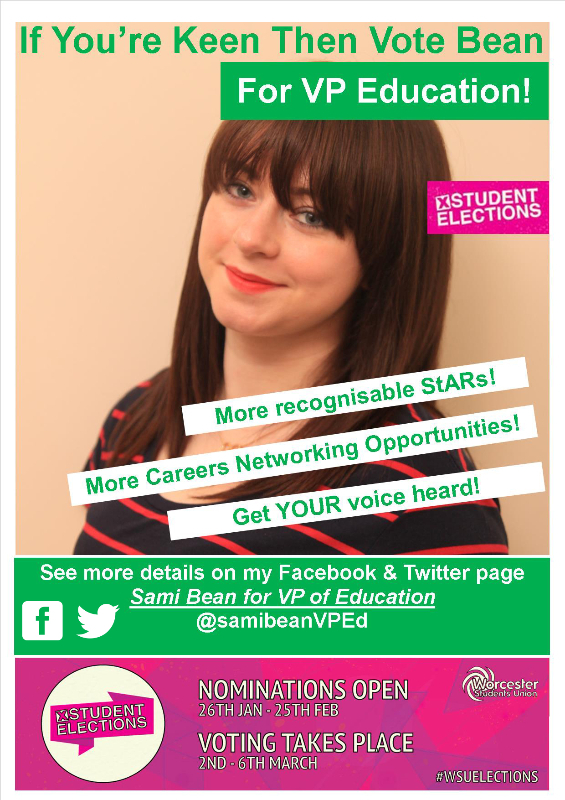 For me this came in the form of my Students’ Union’s annual elections, I decided (with a little help from some other friends that also ran alongside me) to run in the campaign to be the next Vice President of Education. Here, at Worcester, it entails all of the candidates rushing around, making posters, taking part in two hustings and also talking to as many people as possible. Frankly, getting to the point where you never want to hear your own voice talk about a manifesto ever again. But it’s not all as bad as it may seem, I got to develop some new skills like designing a poster and doing some market research. It was really fun being a part of a process that I wouldn’t normally get from my course; being creative with posters and media is one of the things I am most interested in outside of the four walls of a lecture theatre, so running as a candidate gave me a great experience to further these interests. The hustings (a debate that was in front of an audience, broadcast live and filmed) was one of the areas in which I felt the most nervous, this is not normal for me. But being asked questions on the spot and talking in front of a few people in the audience really gave me loads of confidence – great for the future years to come in the professional world. Talking to random people is something that I normally have to do on a daily basis as it is is something that is a part of my job as a Student Ambassador, but talking to students is a little more terrifying as if you say something wrong or accidentally insult someone, then they are still going to see you around campus after that week is over. 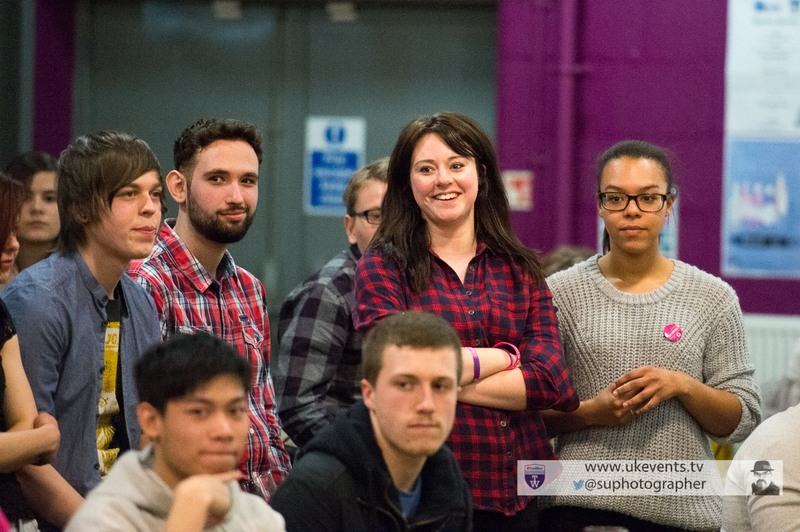 I was lucky on this and managed to say all good things to all students that I met and it cemented in my mind how much confidence I have when it comes down to talking to new people about something I am passionate for. However, to me, the most important thing that has come out of the campaign week was all the new friends that I made. As I have mentioned, I already had friends that were running, but through this, I met so many new people as well. It was lovely to get to know these people and also work alongside them. After all, we were all students being pushed to our extremes, it was nice to have a few shoulders to cry on and also to relax with after voting closed on Friday at 3PM. 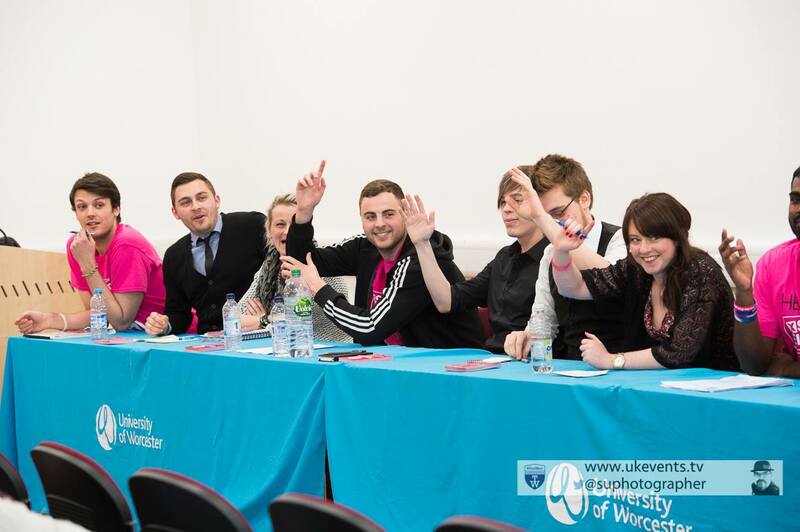 I can honestly say that getting involved was one of the best experiences that I have had while being at University of Worcester, and although I did loose out to Lewis Arnold (congratulations, mate!) I would well and truly do it all again in a heartbeat for the experience and the friendships made along the way! So go get involved everyone, don’t let anything stop you whether you’re in your first, second or final year! And many thanks to Paul Beard for the photos!